If you noticed Krakow trams festively decked out with blue and white flags – that’s the flag of Krakow, by the way – it’s because today is the Feast of St. Joseph, the city’s patron. 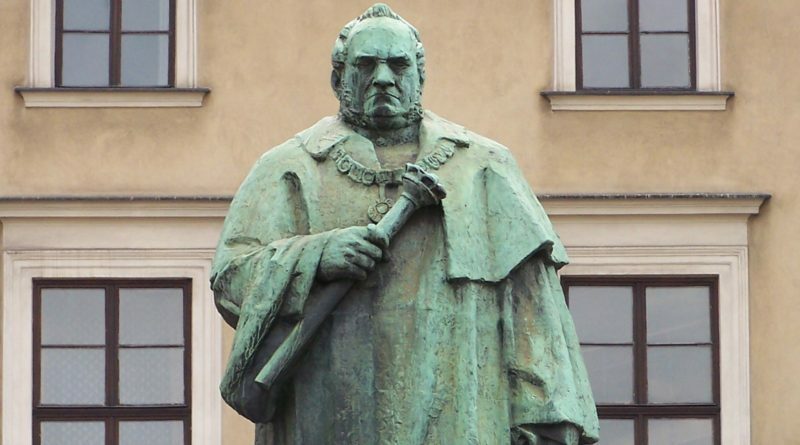 Also celebrated was Józef Dietl (1804-18778) of the same name, an influential medical researcher at Jagiellonian University and the mayor of the city from 1866 to 1874. 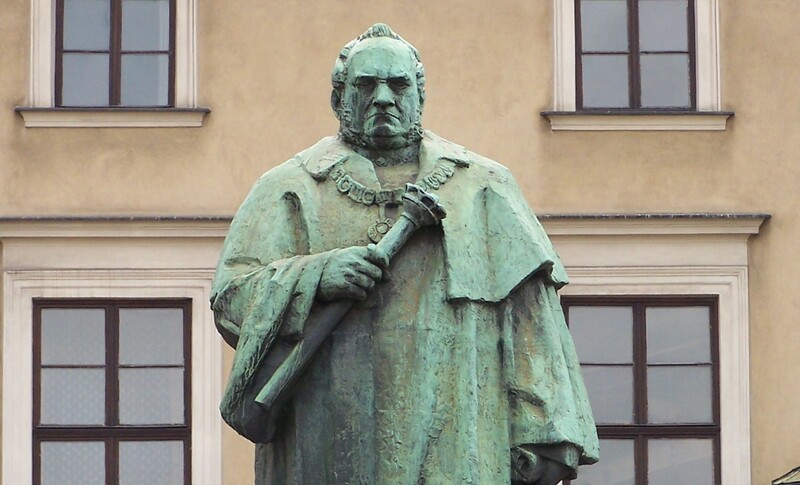 Municipal officials including Krakow President Jacek Majchrowski joined local students to lay flowers at the statue of Dietl (pictured above) near the city hall on Plac Wszystkich Świętych. Later, Krakow Archbishop Marek Jędraszewski held a special mass at St. Mary’s Basilica to commemorate the choice of St. Joseph as patron in 1714 – a time when Krakow was ravaged by war and disease. After dark, the Bernatka Footbridge, Estakada Lipska, and Tauron Arena were illuminated in blue and white lights in further celebration. Interestingly St. Joseph is also Patron Saint of the state of Ceara, Brazil, where one side of my family comes from.